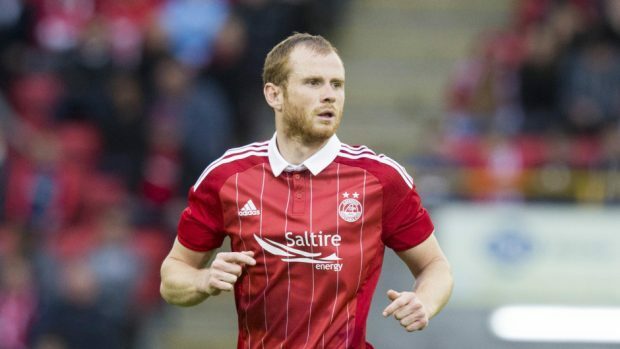 Aberdeen defender Mark Reynolds insists he is ready for the toughest of debuts if Gordon Strachan gives him his first Scotland cap against England on Saturday. The Auld Enemy visit Hampden in a World Cup qualifier for a game the Scots cannot afford to lose. Reynolds knows the size of the task facing Scotland is huge but the central defender would relish the challenge of trying to keep Harry Kane and company quiet at Hampden. Reynolds said: “It is a great honour to be picked and involved in that game. As a boy I dreamed about coming to Hampden to play in a cup final and I have done that. “A close second or equal to that would be representing Scotland against England. It would be great to be involved. We are obviously looking for a huge result. Reynolds is the only Don in the squad after team-mate Kenny McLean failed to make the final cut when Strachan trimmed his squad from 29 to 24 for Saturday’s game. While disappointed for his team-mate, the Aber-deen defender believes the sight of players from Pittodrie being recognised can only be good for the club. He said: “Everyone has been saying that there are four or five of the players who maybe could have been involved but the squad can only be as big as it can be and there is competition for certain places. For Reynolds, Saturday will be a quick return to Hampden after the Scottish Cup final defeat by Celtic. The 30-year-old has yet to play for his country but the home of Scottish football makes for familiar surroundings. He said: “My dad coached at Queen’s Park so Hampden is my second home. I’m used to running about it. That familiarity is brilliant for going there in big games like this because the more familiar you are with your surroundings the more comfortable you’re going to be and the more you feel at home.